In a statement sent to Business Insider minutes after a so-called “Brexit” was confirmed (which you can read in full below,) Sorrell laid out some of his immediate concerns. Sorrell goes on to say that four of WPP’s top 10 markets are in western continental Europe, so now the company must build its presence there even further. Those four are Germany (4), France (6), Italy (9), Spain (10). 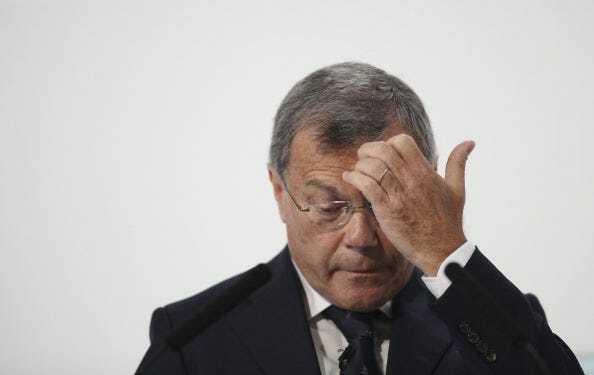 Sorrell has long-said he wanted Britain to stay in the European Union. Very disappointed, but the electorate has spoken. The resulting uncertainty, which will be considerable, will obviously slow decision-making and deter activity. This is not good news, to say the least. However, we must deploy that stiff upper lip and make the best of it. Four of WPP’s top ten markets are in Western Continental Europe and we must build our presence there even further. It just underlines the importance of implementing our strategy: fast-growth markets (BRICs and Next 11), digital, data – and horizontality, which ironically means getting our people to work together, not apart!